This is a sponsored post written by me on behalf of Hippo Sak® for IZEA. All opinions are 100% mine. Kick off your decluttering efforts with our list of 50 things to get rid of right now. 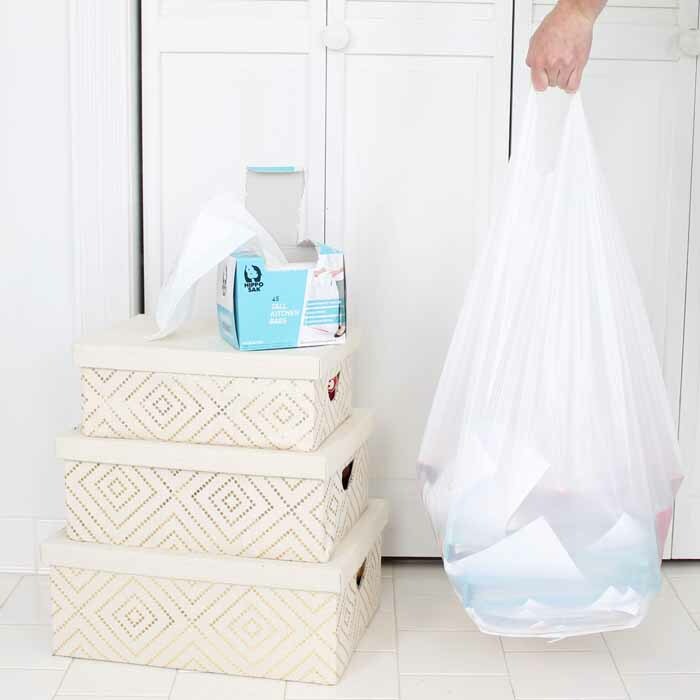 You will be filling up tons of bags and clearing the clutter from your home. 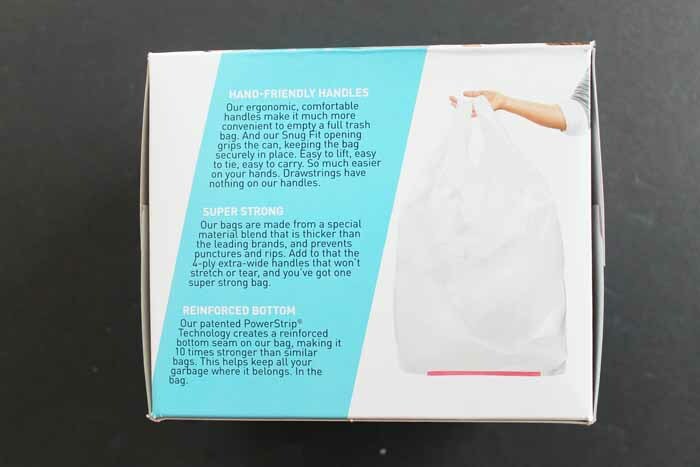 We even have some great trash bags that will handle even the heaviest of donations! This post is sponsored by Hippo Sak but all projects and opinions are my own. I have a great printable checklist for you below. I grabbed my own list and some Hippo Sak® bags and went to work! Why Hippo Sak? Well a few reasons actually! The handles number one make these perfect for your kitchen trash and for decluttering. The strength including the reinforced bottom allow me to really clear that clutter without worrying about busting through the bottom. In fact, they are 10x stronger than competitors. 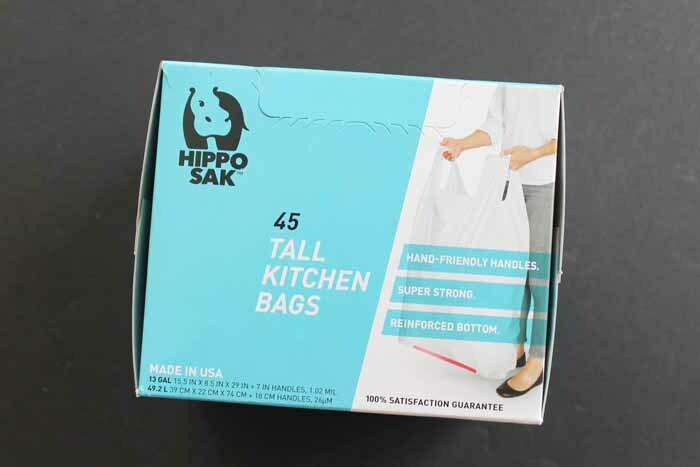 You can find Hippo Saks near you or get Hippo Saks on Amazon. What is on that list you might ask? Well here is a breakdown! Want to print that list? 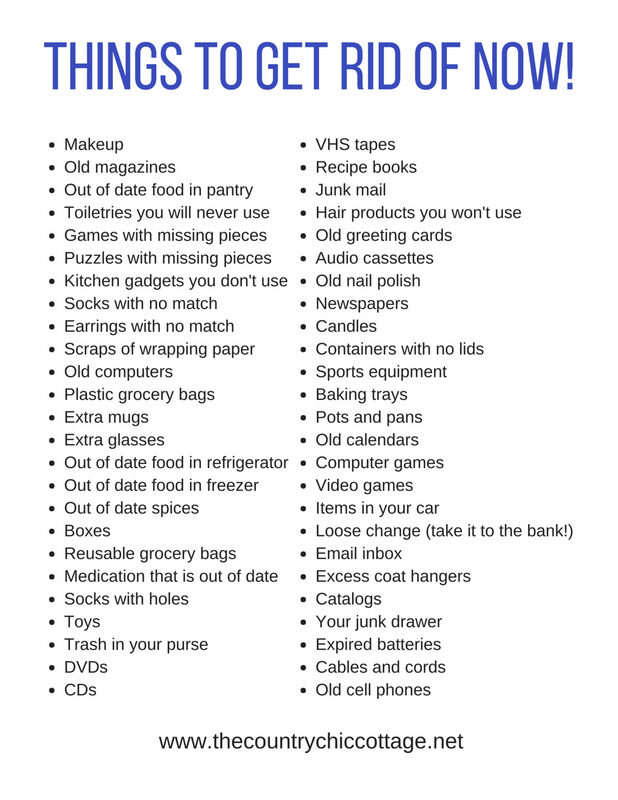 You can click here or on the image below to print the declutter checklist. What are you waiting for? 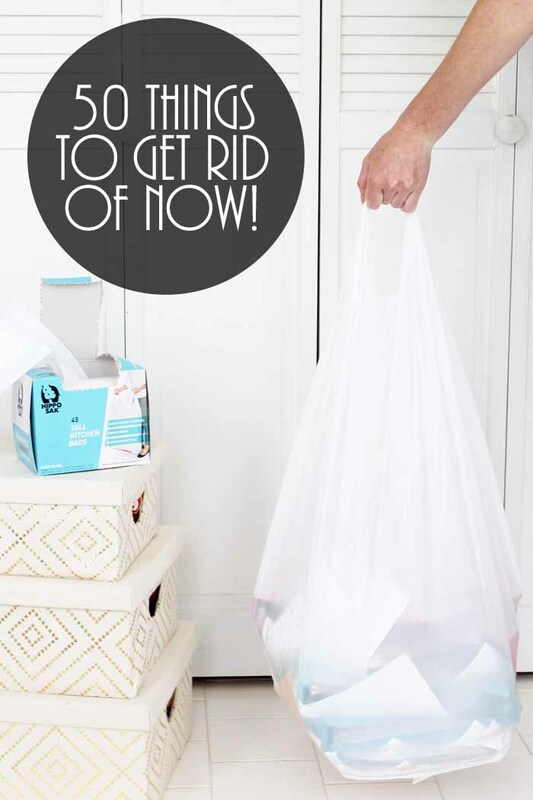 Grab some Hippo Saks and start decluttering now! Our list of 50 things to get rid of NOW will help to jump start your efforts. Using Hippo Saks will make the job easier as well. Imagine just grabbing on those handles and walking from room to room filling bag after bag. That clutter will disappear and you will feel so much better! Why would you get rid of your grocery bags? Go back to getting plastic from the store? Makes no sense to me. Help me understand. It is meant to be a list to help you look at things you have too many of. I for one get a ton of reusable shopping bags for free from various sources and occasionally need to get rid of some extras. Here’s a thought: how about instead of throwing them in a hippo bag that goes to the landfill and clutters up the rest of our world, and kills wildlife. Maybe find another use for them. Use them to organize a closet or garage. Or find someone who doesn’t have any reusable grocery bags , give them to them, and encourage them to recycle reduce and reuse. Also, unless a hippo bag is compostable or biodegradable there’s no way I’m buying/ using one. You can definitely throw them in a bag and donate them! The point is to get them out of your house. I’m new to your site and am already loving it! Great list Angie and thanks for the boost. Lately have been noticing things hanging around which seem to annoy me for taking up room. Think they’re telling me is time to purge, more than. Our small home is bursting at it’s seams, cluttered. EEEEKKKK! Went thru my sewing room again yesterday to ,male room so I can sew in it, what a concept huh? Now what to do with all the “stuff” I took out to be able to declutter?The million $ question. Wish me luck. Senior center, town rec center. They love your craft and sewing items. Great list Angie…I just want to add that I recently found out that H&M will give you 15% off coupons for every bag of clothing you bring in. I have been looking for a textile recycling place and was so excited to hear that! Thanks for posting at Fantastic Friday! This is a great list to get started with to dejunk. I don’t know why I keep around some of the stuff that I do, but here’s to something!!! Thank you for sharing at Snickerdoodle Create Bake Make. This is a good list to use. I am guilty of hanging on to many of these items. Angie, Thank you for the slap in the face!!! Time to face facts! I don’t want or need this stuff!!!!! Great list and I have already started cleaning out stuff this year. Sharing! Thank you for sharing on Merry Monday! Hope to see ya next week! I love that you made a list. It is a great place to start even if ultimately our lists will be different. Thanks! If anyone has a lot of plastic grocery bags there are groups out there that use them to crochet sleeping mats for the homeless. They do it here in NOCO and I am sure if you googled it you can find a group in your area.